The National Weather Service has issued a winter weather advisory for Barrington and the rest of Camden County, as well as for surrounding areas. The advisory joins the previously issued wind advisory, hazardous weather outlook and coastal flooding advisory. The weather service is predicting a wintry mix of snow, sleet and rain for the area between 6 a.m. Wednesday and 6 a.m. Thursday. Snow accumulations of 1 to 2 inches are possible north and west of Philadelphia, but less than 1 inch is expected to the east and south of the city. Wind gusts of as much as 50 mph also are expected during this time. Be prepared for slippery roads and limited visibility, the weather service warns. AFTERNOON AND BECOME HEAVIEST LATE IN THE DAY OR EARLY EVENING. THE RAIN AND SNOW MAY MIX WITH SOME SLEET AT THAT TIME. ROAD SURFACES. TREATED ROADWAYS SHOULD REMAIN MOSTLY ICE FREE. * WINDS...NORTH 15 TO 25 MPH WITH GUSTS UP TO 50 MPH. 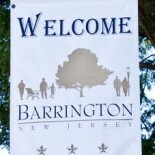 This entry was posted on November 6, 2012 by Barrington Bulletin in Safety.